Three Dog Winery was a long time in the making. John and Sacha Squair began planting on their 100-acre Prince Edward County property in 2000 with 500 Pinot Gris vines and later 1,500 Pinot Noir. Three Dog Winery officially opened its doors 14 years after planting began. 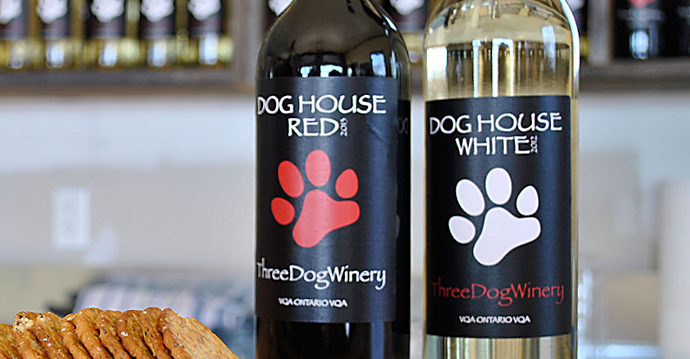 Three Dog Winery produces affordable, easy drinking, everyday wines, including Pinot Grigio, Riesling, Rose and Baco Noir.